Youths in Ireland are the heaviest users of cannabis in Europe, recent research shows. The more illegal, the more the drug is used, some statistics suggest. 16% of interviewed Irish youths admitted to having used cannabis in the last 30 days. Interestingly, the countries with the highest percentage of people using cannabis, are also the countries where it is illegal. Particularly Ireland has one of Europe’s severest legislations against cannabis. In the Netherlands and Spain, where legislation is more tolerant, the use of the cannabis is noticeably lower. But with a statistic like this – based on interviews – it is important to remember that we cannot be completely sure of the actual amount of young people using cannabis. In some EU countries, cannabis, however, is not the most common drug. The usage of chemical drugs such as cocaine is more common in Eastern and Northern countries such as Estonia and Sweden, compared to others. 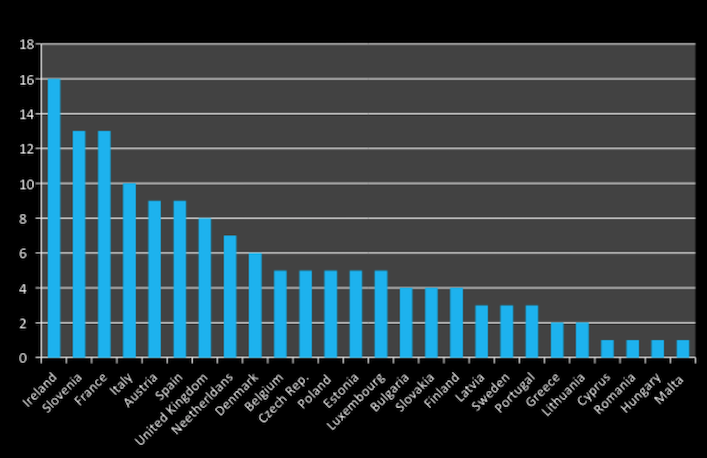 The highest level of drug-induced deaths per million was registered in Estonia, according to the European Drug Report 2012. Check out more updated statistics on European youth here.